Another year has nearly passed us by and we’re still in shock at how quickly it all went. It’s around this time of year that we remember how fortunate we are to call up friends and family to share in the warmth of the holiday season. Which unfortunately tends to coincide with an unsettling fear as we quickly realize that yet again we have managed to get carried away by the holiday allure, unintentionally forgetting to find the perfect gift for those nearest and dearest to our hearts. Thankfully we are back to save the day (for the second year in a row) with a new procrastinator’s guide to gift giving! This year, our updated list of holiday gift ideas is sure to set your heart at ease as we regale our favorite choices for beginners and experienced engineers alike. We have also upped the ante by giving up to 25% off some of our most-loved options as a special thank you to our fellow followers. As the holiday season rapidly approaches, we hope these gifts help you spread some additional cheer and can’t wait to share what’s coming soon with the start of next year! Analog Discovery 2 Maker Bundle – One of our favorite gift ideas that can be easily shared by the entire family is the Analog Discovery 2 Maker Bundle. This bundle is fully loaded with displays, digital logic ICs, motors, sensors and more to begin or continue your understanding of analog and digital circuits. Should your projects go awry, simply pick up the popular Analog Discovery 2 to quickly measure, visualize, and debug circuits, saving you valuable time and getting your inventions back on track! 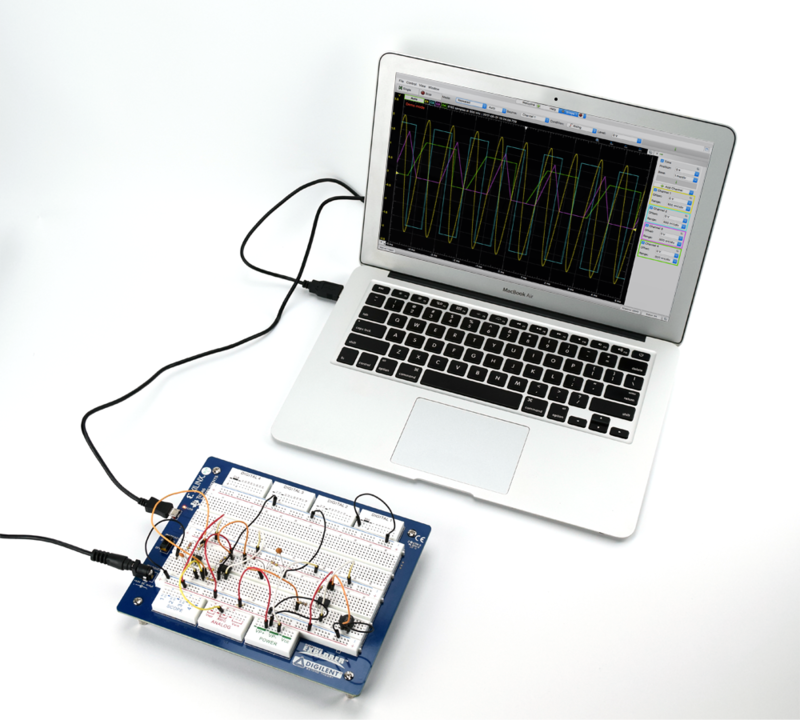 Digital Discovery – For advanced engineers seeking greater control over digital circuits projects you may consider the Digital Discovery, our new combined logic analyzer and pattern generator instrument. Quickly get up and running with the helpful Getting Started Guides and a handful of tutorials to explore the tool functionality on its Wiki page. Or take a test drive with the recently released RoadTest reviews from element14 community members as they walk you through their first time experience using the device. OpenScope MZ – Users who yearn for an even more portable instrumentation option may find luck with the OpenScope MZ and its browser-based WaveForms Live software. As seen on Kickstarter, the OpenScope MZ is a perfect tool for acquiring, analyzing, visualizing, and controlling signals from a variety of electronic devices and comes fully equipped to run standalone (similar to your beloved Raspberry Pi or Arduino device). Powered by a PIC32 microcontroller, this device was designed to be as open-sourced as possible with hardware, firmware, software, and mechanical specifications made available to anyone wishing to dig a little deeper beneath the surface. ZedBoard – One of our most popular development boards is now available with a limited time discount to get you going before the end of the year! This low-cost development board is built around the Xilinx Zynq–7000 All Programmable SoC (AP SoC) chip giving you everything you need to create a Linux, Android, Windows, or other OS/RTOS based design. It was recently featured as a low-cost option used in the NASA CubeSat project but has many other development applications including video processing, motor control, software acceleration, embedded ARM processing, and more. Find additional tutorials and example projects on its Wiki page before you begin creating your next big invention! Tiva LaunchPad and Orbit BoosterPack – Our next holiday gift idea comes highly recommended but often unnoticed on our social media and blog channels. The Tiva C Series LaunchPad Evaluation Kit has been known as a low-cost evaluation platform based on ARM Cortex-M4F-based microcontrollers from Texas Instruments. 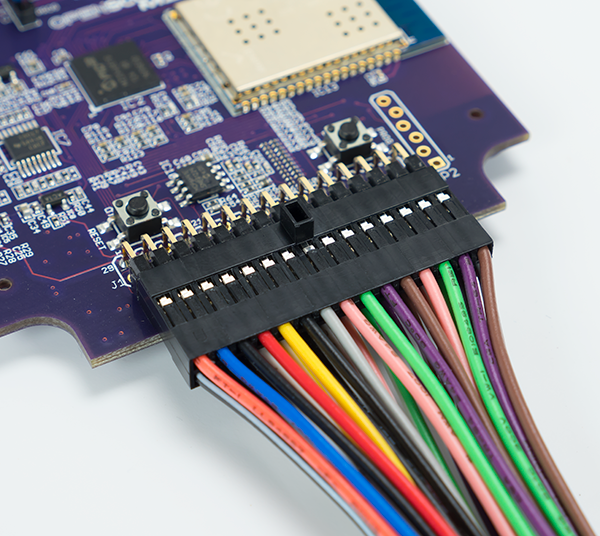 With a variety of applications, this board can be additionally supported for peripheral module application with the Orbit BoosterPack. Quickly add on this BoosterPack to access the numerous project demos found on the Digilent Wiki then sit back, and enjoy your expanded project possibilities! Pmod MAXSONAR – Another product that often does not get enough time in the social media spotlight is our Pmod MAXSONAR, a single-transducer ultrasonic range finder perfect for robotics applications and more! Intermediate to advanced electronics enthusiasts may consider this module for measuring how far away an object is with an accuracy within 1 inch to over 20 feet away. With continuous measurement capabilities (and a special low price through the end of the year) you can quickly enhance your range seeking applications while following a simple UART, PWM, or analog signal communication. Find additional resources and tutorials on its Wiki page to jump start your projects this winter! LabVIEW Interaction Parts Kit – If you happen to already own the Analog Discovery 2 but still seek a parts kit to compliment your workbench, look no further than the LabVIEW Interaction Parts Kit! 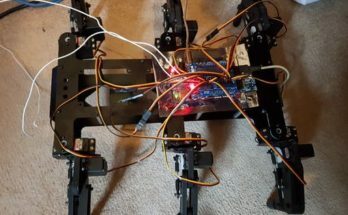 While this kit pairs extraordinarily with the LabVIEW Home software edition, it also provides excellent project support with a handful of sensors, LEDs, a servo motor, and more. And as favorite for smaller projects around the office you can quickly find project inspiration on the Digilent Instagram. WS2812 Addressable LED – Our final holiday gift idea has been featured time and time again both around the office and in various tradeshow demos. The WS2812 Addressable LEDs are the perfect project addition for anyone desiring visual interest with waterproof protection. These LEDs were famously used in the Digilent Claw Game, added as a final touch by one of our interns, and have remained in good favor since! Whether you’re new to electronics or looking for ways to brighten up your projects, the WS2812 Addressable LEDs are a great holiday gift supported by multiple tutorials on the Digilent Wiki (1, 2, 3).